The space industry is looming ever larger in the minds of those inhabiting the world of EVE. Not so many decades ago the industry provided a living for only a handful of people, but today the number has risen to tens or hundred of thousands. Every day sees new companies being formed in every corner of the world; companies that dream of taking space by storm. A typical company of this sort is DioCore. Founded by two brothers some five years ago DioCore remained for some time a company bereft of funds, staff or future. But the brothers didn?t sit idle during this time - they gained experience in operating space crafts, skills in dealing with people and established some important contacts. DioCore?s main activity was in the field of blueprint research. The founding brothers had many revolutionary ideas regarding drones and wished to incorporate these ideas into blueprints. In the end they managed to attract the attention of the investment firm MindChill, a Gallente-based venture capitalists company that focused on budding space companies. With the aid of MindChill, DioCore finally managed to get their operation into gear and finance their first research facility in space, with two more following. With the money from MindChill the DioCore brothers thought they were made. A few early blueprints were promising, but these failed to materialize into anything more substantial. Soon, lack of funds threatened the continued existence of the company. Yet the brothers were unwilling to give up, as they knew their breakthrough project was on the horizon. This breakthrough project attracted the attention of potential customers - some very big - and the DioCore directors managed to sign a deal with some of them, but all with the condition that DioCore finished researching their blueprint first. Looking for venture capital to fund the company until the massive deal went through, a dark plot was being crafted in backrooms. MindChill, because of the earlier involvement in the company, had some first-hand knowledge about the problems facing DioCore and took on the task of leading the raising of new capital. All seemed well and the shareholders were at peace. Several weeks passed, and the DioCore directors put ever more pressure on MindChill to finish the funding. MindChill responded that major deals were being made and that capital would be just around the corner. But their real intentions were more sinister and predatory. Rumors started to spread that DioCore was having cash flow problems. Several investors wanted out and behind the curtains MindChill was buying DioCore stock at wholesale prices. The longer MindChill waited to finish the fund-raising deals, the better their position became for buying more shares. An emergency meeting was held at DioCore headquarters to get to the bottom of the situation and there the true intentions of MindChill became evident. As DioCore was now on the verge of bankruptcy, MindChill put forth an offer that DioCore was in no position to decline. It would give MindChill a majority in the corporation for a very small sum, but just enough to let them finish the research project and land the drone deal, but with MindChill then reaping the profit from it. Not giving up so easily, DioCore directors came up with a plan. Now that the offer from MindChill was at such an incredibly low price, it was easy to raise enough capital to counter it. A private investor, backed up by the directors at DioCore, came in with an alternative deal. The new deal would keep the shares within the company, but at the same time dilute MindChill share severely since the price was so low. But the trouble was not over, as the board members at DioCore still had to vote between the two deals. The problem was that MindChill had a member on the board, Jon Mondo, a famous Gallentean venture capitalist. Mondo had been busy gathering support from other board members for his own deal and no one knew which deal would come out on top. This caused severe tension and the battle for DioCore was now reaching a dangerous level. 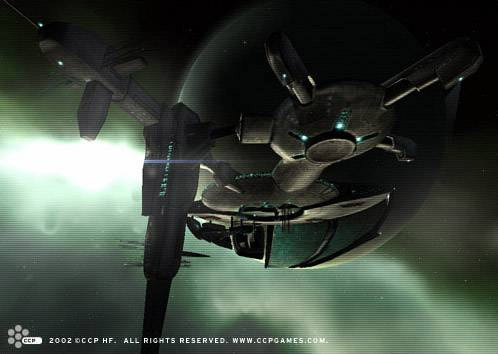 Mercenaries were hired to guard major DioCore facilities from possible sabotage and DioCore directors only moved between systems with highly trained fighter escorts acting as bodyguards. Every vote was now worth more than the life of the person behind it. The board meeting was finally held at DioCore headquarters under military style security. The vote went a close call 5-6 in favor of the private investor, and DioCore was no longer under the threat of takeover. Three months passed, and DioCore struck gold with their highly developed drone product lines. Today DioCore is a prominent company and is frequently traded on the stock market, being considered a solid long-term investment.